While planning any trip is a daunting task, planning a transcontinental trip is even more so. However, have no fear, ParisByM is here to help. There are several sites designed to help you find the best rates on a wide array of airlines when booking flights to Paris. 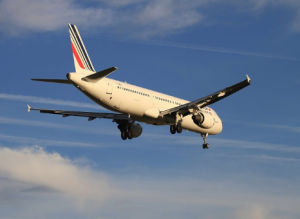 We have compiled the main aspects of the most common airlines flying from Europe to Paris. 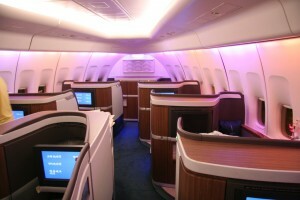 There are several sites that boast their ability to aide you in finding the best rate for your flight to Paris. Some of these sites include: Kayak, SkyScanner, Expedia, and Orbitz. When booking a flight to Paris the best option to obtain the best price is to shop around. In flying from Europe there is an array of airlines that either fly direct or have stopovers on their way to Paris. When flying from Europe, round trip flights can start as low as 90€. Price fluctuates depending of the season, the time of year you are booking your trip and the country you are flying from. For instance in the month of July and August, tickets are going to be more expensive, because there is a high demand due to vacation travelers. When you are flying across a body of water or from a farther distance from France, airline tickets are, also, going to be more expensive. Round-trip tickets vary from the different region in which you are flying out of. In the Northern Europe region prices for a round-trip ticket start around 160€ with companies like RyanAir and Norwegian Air. Flying from Western Europe to Paris, round-trip plane tickets begin around 120€ from companies like Air France and RyanAir. With Southern Europe, round-trip plane tickets begin around 130€ with companies like RyanAir and Air France. Round-trip tickets from Eastern Europe begin around 100€ and go up from there with companies like RyanAir and Air France. With transcontinental flights, there is commonly a single checked bag allowed. 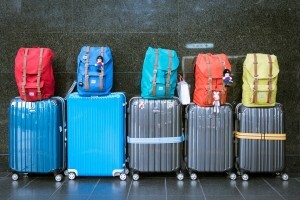 The most common checked baggage regulation is a bag that ways no more than 23 kg and measures no more than 158 cm when you total the length, width, and height of the bag. Carry on luggage is also included in most flights. The common regulation for your carry on is a bag that is no larger than 56 cm when you total the length, width, and height. The sooner you book your flight the better rate you are going to get. Studies suggest that when you book your tickets six to eight weeks before you want to leave for your trip, you will find the best price. Make sure that you look up the specific regulations for check-in, luggage restrictions, and security measures for the airline you are planning of utilizing. While we are able to give generalizations of common regulations, each airline is a little different and you will want to be prepared before your departure.